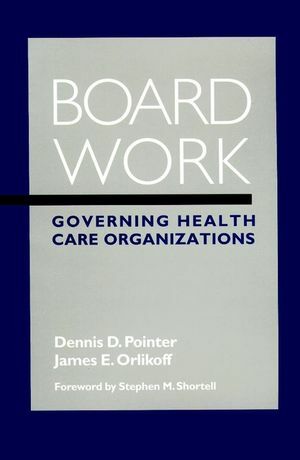 Dennis D. Pointer and James E. Orlikoff, two of the most experienced and highly regarded governance consultants in the country, have written a definitive guide for health care boards that want to maximize their performance and help their organizations reach full potential. 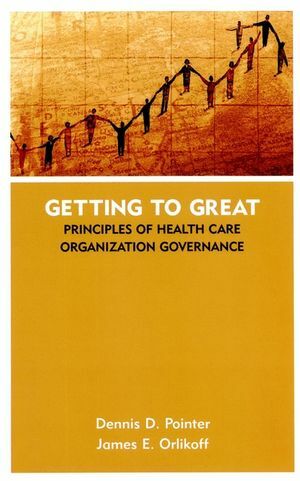 This guide will be an invaluable resource for health care board members and executives who are committed to investing in their organization's future. Dennis D. Pointer is principal of Dennis D. Pointer & Associates and the author of numerous books, including Really Governing, the 1996 winner of the American College of Healthcare Executives Book of the Year Award. He holds the John J. Hanlon Chair of Health Care Research and Policy in the Graduate School of Public Health at San Diego State University. He is also the Austin Ross Professor, Department of Health Services, School of Public Health and Community Medicine, University of Washington (Seattle). 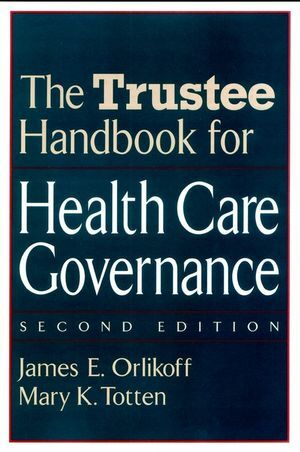 James E. Orlikoff is president of Orlikoff & Associates, Inc., and the National Advisor on Governance and Leadership to the American Hospital Association and the Health Forum. He is the executive director of the American Governance and Leadership Group and serves as a member of their faculty. 2. Board and Governance Basics. Appendix A: Sample Board Policies. Appendix B: Sample Committee Charters. Appendix C: Sample Governance Principles.